Netherlands is not only about windmills.There so much more to it.You will find many quirky spots here.There are many places in Netherlands which are not popular.But they are worth a visit.Enjoy the Dutch landscape. It lies next to Castle Muiden.This village is surrounded by age-old moats. The grass grows over making a protective layer. The structure of moats was built to safeguard the village from Germans. Now Bourtange has classy shops, warm cafes, museums. Don’t be surprised if you hear “I dos” here. It is a popular spot for hosting weddings. Summer is the best time to visit it. There will be some costume show going on at that time of the year. It is an ancient natural structure. Geography buffs here is a place you must visit. It can be called the Stonehenge of Holland. They were created by peasants many years ago. The rocks here date back to 5000 years. They are from the megalithic age. One of the oldest existing rock structure. Hunebedden was used as a grave chamber. You may be afraid to encounter a corpse. But don’t worry bodies have been removed from here. Enjoy the frozen history of Drenthe province. The history that surrounds this gothic castle is pretty interesting.Built in 1294. It was founded by St Dominic. No religious activity is conducted here since the Napolean army seized the church. It is considered one of the beautiful bookstores in the world. Yes, this place was converted into a bookhouse. 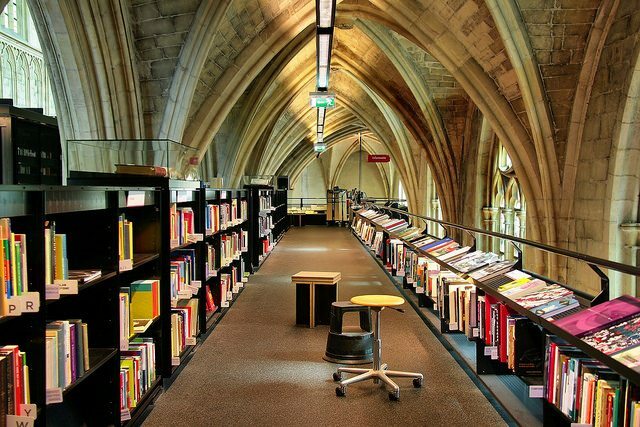 The vaulted ceilings and thirteenth-century architecture are a contrast to the metal stacks of books. Book lovers must travel to Maastricht in Netherland. Be ready to be engulfed in flowery scent. 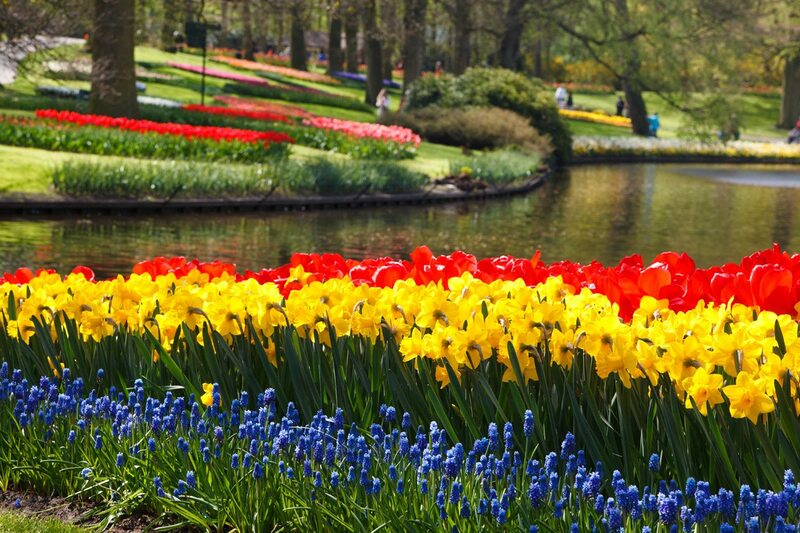 Keukenhof is the largest flower garden in Netherlands as well as the world. Springtime is the best time to visit this garden. All the buds bloom in their full glory. You can take a bicycle ride around this garden. Seven million flower buds are planted here every year. The variety of flowers will overwhelm you. There are plantations of tulips, orchids, roses, hyacinths and many other flowers. You will think that it might be a normal national park. What is the big deal with it? But trust us this park is unlike any other you will ever go. The bike lovers will love it here. There are 1700 white bikes for you to ride around the park. And they are free!It is a largest natural reserve in Netherlands. You can visit the Kroller Muller museum and learn a bit of Dutch history. The largest private van Gogh collection is present here. Have a look at the sculpture garden. Try to evoke your muse with the art.